Rajeev's World: Salesman of the Year - POTUS! The POTUS landed here today. And the POTUS came along with the FLOTUS. I am not talking about any spacecraft. I am talking about the President of the United States and the First Lady of the United States. Just before 1 PM, the Air Force One touched down at CSI Airport, with the salesman of the year, Barack Obama. It appears after the Republican Tea Party routed him in the American mid-terms, he has no option but to show some action. 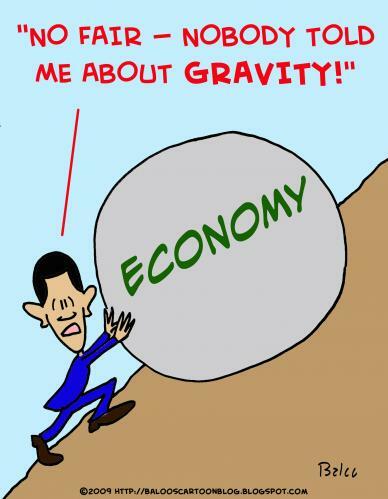 Let's accept it, that the American economy is on a downslide. That's what cost him a mid-term. Today, Obama has no option but to become a roving salesman for America Inc. He does not love India the way Dubya Bush did (that was a mutual love affair!!! I miss Dubya a lot when it comes to United States - India relations! ), but it is money, it is business that speaks. China will not import volumes from the United States. Europe is half-dead economically. The rest of the word has insignificantly small long term potential. That leaves only India in the reckoning. If business with India increases, so will jobs in the United States. That is what forces him lift curbs on transfer of dual-use technologies to India. That's what prompts him to make a pitch for hi-tech exports, nuclear technology, defence deals, aircrafts and you name it, its on sale!!! It is a game, we need to play it well to get the best from the United States. We have to make the United States dependent on exports to India to force them into a strategic partnership, that helps us stand up as a counterweight to China's quest for dominance in Asia as well as quelling Islamic extremism. POTUS' visit rings a bell - remember when Bill Clinton was forced to write back sanctions on China for economic reasons? So far, salesman POTUS has done a decent job, now it is turn. But without doubt, POTUS is the salesman of the year, he wins the award hands down.